If you were involved in an accident that included a truck, you likely suffered a significant injury that will take months or years to fix and thousands of dollars in medical bills and lost wages. There is no reason why you should not be compensated for what you went through by those who were most responsible. Top rated accident attorney Gary Brod has achieved millions of dollars in recoveries for thousands of injured victims of accidents involving trucks and tractor trailers in Philadelphia. Having a truck accident attorney like those at the Brod Law Firm in your corner, ready to file a lawsuit, if necessary is the best way to ensure you get these forms of compensation. Years of experience representing truck accident victims have endowed the attorneys at Philadelphia's Brod Law Firm with the techniques they need to gather all of the evidence you need to get the case to court, and the litigation experience necessary to win, once there. By investigating the accident, the attorneys at the Brod Law Firm determine who was ultimately at fault. This could either be the driver of the truck that hit you, because of his or her inattention and negligence, the trucking company, for their negligent hiring or training or vehicle maintenance, or even the truck manufacturer, for their faulty product. If you are involved in a truck accident in Philadelphia and have insurance, you probably have the feeling that everything should be covered. However, all insurance companies are for-profit businesses whose success depends on paying as few claims as possible. If your injuries would cause your insurance company to lose a lot of money, you can expect them to try all that they can to pay as little as possible. 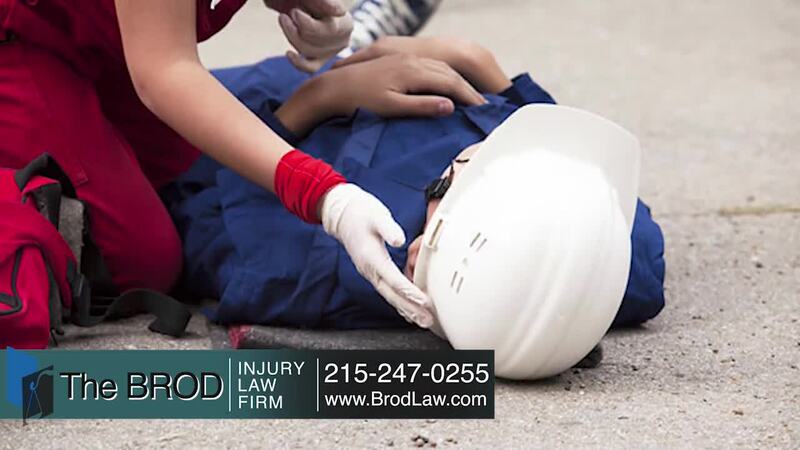 These are all things that the truck accident attorneys at the Brod Law Office in Philadelphia handle on a daily basis. We have represented numerous clients to get the compensation that they deserve after a serious truck accident. If you or a loved one has been hurt or lost their lives in a truck accident in the Philadelphia area or elsewhere in southeastern and central Pennsylvania, contact the Brod Law Firm Offices online or toll-free at 1-888-435-7946 (888-HELPWIN) Even if you are not sure if you have a case please call us for straightforward no-nonsense answers to your legal questions. We do not charge you for legal advice.